Quick peak at Reason's FAQ and what do we see there? There are questions like "Reason doesn't see my Ignition Key! ", "Reason say my Ignition Key driver installation fails!". So, obviously, this dongle or the "ignition key", as they call it, is actually a useless piece of hardware and from user's point of view it's only function is to cause Reason to not work when you least expect it. If the idea is to use Reason's instruments for live performances, it would be insane to add such a weak link to the system. There are plenty of things that can go wrong already! Congratulations, Propellerheads, you've just lost a customer! Next big disappointment was Waves. 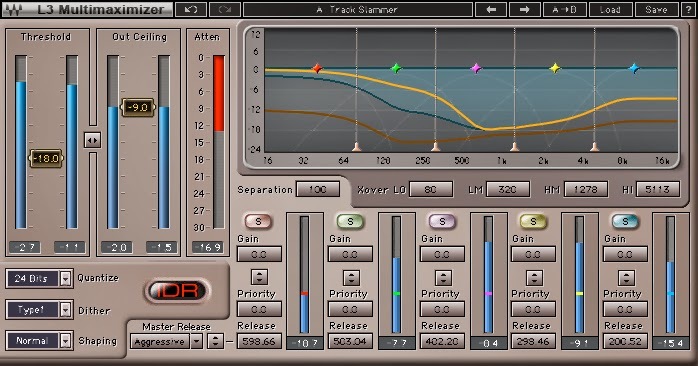 They offer a wide range of different VST-plugins, among them are the L3 Multimaximizer series. Unfortunately, you can't even get a demo version without buying the 50$ ilok dongle and waiting for it to arrive. Needless to say, this dongle is not compatible with Reason's "Ignition Key", so this means already two useless pieces of hardware sticking out of your computer. It seems pretty obvious, that dongle-protected luxury software for a few hundred dollars is only applicable for a serious operation, in a professional studio environment, where it is actually used to generate revenue. I'm not a business man, but it seems to me that the idea of selling lighter version of the software, dongle-less and like 10-times cheaper would actually generate a lot of income for these companies, as it would reach much wider audience. Well designed "download, install, try and buy" path can easily beat the software "piracy", given that the price is affordable enough. I'm certain that 90% of a users will always choose the easiest and safest way to get things done. Steinberg has realized this and as a result I own WaveLab Elements. Another good real-life example is the Steam platform. I had never even thought about buying a computer game before Half-life 2 came out. I hope Propellerheads and Waves will realize this too, before they're put out of business. UPDATE: After playing around with Reason 6 I realized that they actually do allow saving and opening Combinator patches in demo mode, which is basically all I need when using it in combination with Ableton Live. One might wonder why do I even need it at all? Well, Reason has some pretty nice synthesizers and effects and a neat way of organizing them into Combinator patches like described here. UPDATE2: Waves has dropped the need for iLok with the release of Waves Version 9. I am now a happy owner of L3 Multimaximizer. UPDATE3: I've upgraded to Reason 7 now and also managed to install it on my laptop. It appears that the dongle is no longer required and you can transfer the licence on-to your computer's hard drive too. Been using Propellerheads Dongle since 2010 when I purchased it with Propelerhead's Record. I upgraded to Reason 6 in 2011, transferred the R6 licence to Record's Dongle, and I haven't had any issues neither with internet log-in, nor the Dongle. Besides - there is always customer service at your disposal if you have any issues. I have contacted Propellerheads support only once in the past, and I have to say - they're pretty speedy and helpful in their response. Apart from all this - reason 6 is still a mighty beast, love from the first sight! 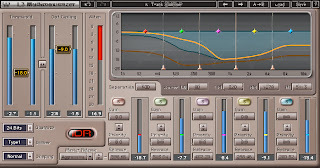 As I already mentioned, Reason might even not be the worst case as they at least give a demo mode that will always work.. But still, it's kinda stupid, when you think about it.